With gas prices going up as we write this it is ever more important to save money by using less gasoline! Better to have the cash in your pocket v.s. the big oil companies! Gasoline use and your tires condition can play a huge factor in how much you save. The following are a short list of suggestions that drivers may want to consider when trying to save money on gasoline purchases for their cars and trucks. Following these guidelines can save several hundred dollars a year depending on the amount of driving you do each year for commuting to work and leisure driving. 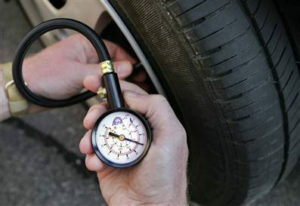 Keep Tires Inflated – tires with the proper air pressure wear better and provide better gas mileage. They will last longer too and provide better stability on the road. Replace Old Tires – old bald tires can cause tremendous accidents and limit your gas mileage. Replace them with new tires for safer driving and better gas mileage. Get an app for your phone – use GasBuddy’s, AAA’s TripTik and the YP Yellow Pages and Gas Prices, all of which are free. Others that cost money include SmartFuel, Gas Cubby and Cheap Gas. These apps will tell you what stations are selling gas at what prices. You can select the station closest to you that has the lowest price. Drive less – consolidate errands to keep driving to a minimum. Plan your trips and try to do several things that are on the route that you will be taking. If something can wait until tomorrow when you will be heading past the places you need to go, delay them. Most things can wait a day. Drive slower – Shave 10 to 15 miles per hour off your speed and you can save up to 15% in fuel consumption. Just give it a try. You will see how much of a difference it makes on your gasoline consumption. If you drive to work everyday, you will save hundreds of dollars a year this way. Keep your windows closed – at highway speeds, air racing through your car will increase its drag and burn up to 10% more fuel. AC will increase your gas usage. If you do not need it, turn it off until it is too hot to be comfortable. Go light on the brakes – slow and steady acceleration and braking can save as much as 20% in fuel. Coast into stop signs and stop lights and you will save gasoline as well as your brakes. Brake jobs can be very expensive, so the longer they last, the less you have to spend. Shut Off your car when stopped– restarting the car when you’re idling for more than one minute will cost you less in fuel than restarting the car. Even the Toyoto Prius engine shuts off at stop lights to conserve gasoline. Turn your A/C off. – the air conditioner is a big drag on your car’s engine and gas efficiency. If you do not need it, turn it off and let air from outside cool you off. Keep your car healthy. — clean dirty air filters, replace aging spark plugs, keep tire air pressure and fluids at recommended levels . Tires that are not at their recommended tire pressure will increase the drag on the car and increase the gasoline consumption. By taking these steps consumers can optimize their cars consumption of gasoline and lower your overall cost of gasoline energy use. As gas prices continue to rise, you can save even more money by following these suggested guidelines. For more posts about improving gas mileage for your vehicle, click here. We all need to figure out the best method of saving money on gasoline, because whether we like it or not, the price of gasoline is just going to keep going up and up and there is not a lot we can do about it other than not use it. The price of gasoline affects us in many ways. Some we are not even aware of. For most of us, we think that it is only the cost of a gallon or a liter in Canada’s case. We drive every day and we put gasoline into our cars every day. So we see what how much the cost of gasoline is going up. Recently the price of gas has dropped because there is a surplus of fuel available. It probably will not last long so enjoy it while it is here. But what about all of the food that we eat. This is impacted in a big way as well since diesel which is also derived from oil is going up just as much. Diesel is used to power tractors and the trucks that deliver food to us across the country. If it were not for the trucks we would not have fresh produce available to us each and every day. The price of food is going to go up as well, which spells even more inflation. Then there are all of the synthetics and the electrical generation plants that run on oil. All of these things are going to increase in price due to the rise in oil. Back to our original theme. The only way we can save money on gasoline is to not use it. That applies to the what we purchase as well. Saving money on gasoline should not be that hard. 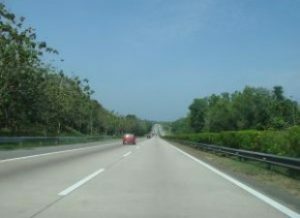 Drive less, plan your trips to avoid using the car unnecessarily. Purchase a car that is economical on cars. As I am writing this particular post, I am in southern California. I am really appalled at the size of some of the vehicles that are on the roads. Large trucks with one person in them. SUV’s and expensive cars that practically pour gasoline through the engine. I am also heartened by the number of Toyota Prius’s that are on the road as well. They get 50 miles to the gallon on average and can really make a difference when it comes to saving money on gasoline. Unfortunately you really do not save that much money on a Toyota Prius due to the upfront cost of the car. There is a premium on the battery and while your operating costs are much lower, the initial up front cost is high. There is new battery technology coming and hopefully over the next 10 years we are going to see cars that are at a lower price than they are today with better gas mileage that use rechargeable batteries to help us all save money on Gasoline. This is one of the most important things for our economy and if we do not solve this problem, our way of life, our standard of living is going to fall considerably. We can start now by saving money on gasoline by being smart about how we maintain our car and how we drive. 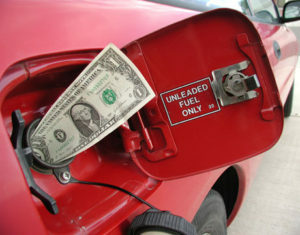 For more information on how to save money on gasoline, see our previous post entitled, “how to save money on gasoline”. Your comments are welcome. Anything that can help with reducing our dependence on oil and help the average consumer will be appreciated. For more ideas about reducing your gas consumption, click here. 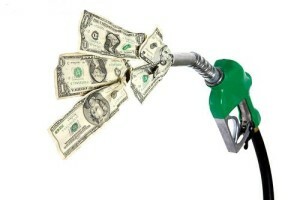 As gasoline prices continue to rise there is more and more focus on how to save money on gasoline with your car. We have not even hit the summer months yet and already gas prices are pretty high and the expectation is for the price per gallon to go even higher. We decided to do a series on how to save money on gasoline since it hits the consumer’s pocket-book so hard and it is also related to the tires that you have on your car. Over the spring, the price has risen continually and while this is really what has prompted us to write this series of posts. However regardless of what the price is, anytime you can save some money why not, so if even if the price decreases, why not try to continue saving some money. In this post we are going to list many of the common sense things that you should be doing. Focus on making sure that you are getting the maximum mileage you can from the vehicle you drive. If you want to improve even further, then you probably need to change vehicles. Purchase one designed to provide a higher mileage per gallon rating. There are a number of myths that we have recently read about that we wanted to include as part of this post about how to save money on gasoline. Fill your tires with nitrogen: Also no savings on gas mileage. 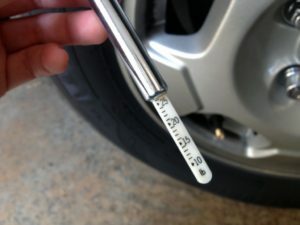 Nitrogen is more inert and will maintain proper tire pressure better than regular air. Fill your car’s gas tank in the morning when the fluid is cool and more dense: Gasoline is stored below ground in tanks which is at pretty much the same temperature all day long so no savings here. Open windows are more of a drag than running your air conditioning: They both cause about the same drag on gas mileage, so you may as well be comfortable. Shift into neutral when going downhill; Has no impact since the engine is still running and still burning gasoline. Change your air filter regularly: Regular checks by your mechanic will be sufficient to let you know when it should be changed. If it is dirty he will tell you it needs changing. Hopefully these ideas will assist readers regarding how to save money on gasoline. Please leave comments on any additional ideas that you may have. Many people are predicting that gas prices could climb to $1.40 per liter this summer. As of writing this post on June 1st, prices are at $1.24. During the past week they have been as low as $1.17 and as high as $1.27 per liter of gas. During the spring of 2013, they climbed dramatically and approached $5.00 a gallon in the US in California. It is only a matter of time before they stay at that price, although they are now back to $4.29 a gallon. 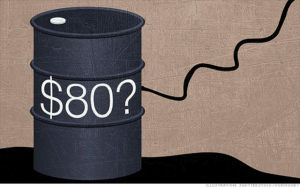 I really believe that the oil companies are just conditioning us for higher prices. The cost of gasoline for Canadians and Americans is a huge issue for those people who need to drive to get back and forth to work everyday. Many Canadians have no intention of cutting back on time behind the wheel. They have to get to work and they want to take their vacation. Some are cutting back on the distance they are traveling, but most are not planning to cancel their vacation according to a survey completed for Canadian Tire. Many are planning to find other ways to save dollars to compensate for the increased cost of gasoline. Gas prices have not yet risen far enough to cause major changes in driving habits and also car buying habits. People are looking for other ways to save money to compensate for the increased cost of gasoline. According to the survey completed for Canadian Tire, one-in-three drivers (36 per cent) revealed that they would rather give up vacation time than give up driving and more than half (56 per cent) said they will take on the role of do-it-yourself mechanic to save on car-related costs. Many Canadians need to go back to basics with regards to maintaining an optimum speed to maximize their gas mileage as shown on the chart on the right. The top do-it-yourself job Canadians will take on this summer is cleaning the car, as 90 per cent indicated that they don’t think it’s worth the money to have it professionally done. While many Canadian drivers are willing to take on more, the survey shows they draw the line at performing other automotive work such as brake repairs or oil changes with 81 per cent indicating they would prefer to leave it to the professionals. For more posts about improving gas mileage, click here.